Brantford Criminal Defence Lawyer - Have You Been Charged? In Canada, you are innocent until proven guilty. And proving someone’s guilt in a court of law is not as easy as you might think. To prevent innocent people from being convicted, a strict set of rules and procedures governs criminal trials. These rules and procedures are there to protect you. If you are facing criminal charges, do not assume that you will be convicted. 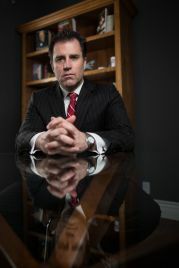 For the professional help that you need in the Brantford area, contact experienced criminal defence lawyer Phillip Millar. Was what you did a crime? For example, if you purchased what you believed to be an illegal drug and the police charged you with possession, if it turns out that the seller sold you something that merely looked like a drug, then you were not in possession of an illegal substance. For each charge, there will be specific facts that the prosecution must prove. Phillip Millar will explain to you which specific elements the prosecution must prove in your case and will provide you with an assessment regarding the prosecution’s chances of success. This type of analysis will allow you to make a fully informed decision about the best way to proceed and how to obtain the best possible outcome in your situation. What situations can Phillip Millar help you with? Impaired driving (DUI): This is one of the most common criminal charges laid and it has some of the most severe penalties. Just because you have been charged, does not mean that you will be convicted. Follow this link to learn more about Brantford impaired driving/dui. Property offences: Can include theft, robbery, burglary and home invasion. No matter what charges you face, Phillip Millar can make a positive difference in the outcome of your case. Call Phillip Millar today at (519) 914-1662 and have your case reviewed for free. No matter what the charge, Phillip Millar can make a difference in the outcome of your case. Call Phillip Millar today at (519) 914-1662 for a free review of your situation.